Award-winning, all-inclusive Spice Island Beach Resort in Grenada is offering Valentine’s Day gift certificates featuring complimentary couples massage, romantic sunset cruise and dinner for two on the beach and seventh night free, valid for travel April 16 – Oct. 31, 2013. For Valentine’s gifters hoping to make an impact with their significant others, what can beat a romantically presented gift certificate for a seven-night stay at the # 1 rated resort in the Caribbean based on TripAdvisor reviews? The answer is: All of the above plus a complimentary couples massage, romantic sunset cruise and dinner for two on the beach at the world-renowned Spice Island Beach Resort (www.SpiceIslandBeachResort.com) in Grenada – with the seventh night free. Spice Island Beach Resort’s Valentine’s Day gift certificates are valid for travel April 16 – Oct. 31, 2013 and can be purchased directly from the resort. “Unlike flowers and other short-lived gift items, a certificate for a romantic retreat to Spice Island Beach Resort lasts even beyond the vacation experience as the memories you build here will be a part of your love forever,” said Sir Royston Hopkin KCMG, the resort’s chairman and managing director. Tucked away on pristine shorelines just 10 minutes from the airport, Spice Island Beach Resort is surrounded by immaculate tropical gardens and offers a world-class spa incorporating local spices and ingredients, and an unmatched culinary program featuring seven-course dinners which range from diet-friendly to decadent. Room categories include the Oleander Oceanview and Garden Suites, beachfront Seagrape Suites, private Anthurium Pool Suites, expansive Luxury Almond and Royal Collection Pool Suites and the resort’s signature Cinnamon and Saffron Suites. Nightly rates range from $860 – $1,695 per room, per night, based on two people sharing one suite from April 16 – Oct. 31, 2013. Gift certificates must be purchased in seven-night increments by Feb. 14, 2013 in order to qualify for the seventh night free and promotional value, which includes one complimentary Swedish massage per person, sunset cruise (weather permitting) and dinner for two on Grand Anse Beach (weather permitting) for one evening. For more information or to purchase certificates, contact Spice Island Beach Resort toll-free at 1-800-501-8603, tel: 473-444-4258, fax: 473-444-4807, e-mail: reservations@spicebeachresort.com, or visit www.SpiceIslandBeachResort.com. 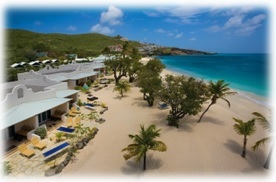 Grenada’s all-inclusive Spice Island Beach Resort (www.SpiceIslandBeachResort.com) has received recognition as one of the “Best Hotels” in the Caribbean for 2013 by U.S. News & World Report. 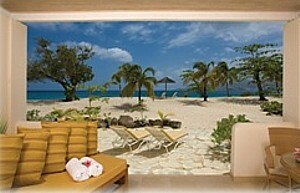 The luxury hideaway is the only property in Grenada to make the list. The resort appeals to high-end travelers with its reputation for unparalleled service with a warm Caribbean smile, luxury beachfront and private pool suites, unique spa treatments incorporating local spices and ingredients, and an unmatched culinary program featuring seven-course dinners which range from diet-friendly to decadent. “We are proud to be featured among the top Caribbean hotels by U.S. News & World Report as we understand the publication adheres to strict guidelines and quality standards in its selection process,” said Sir Royston Hopkin KCMG, the resort’s chairman and managing director. “Beyond our reputation among travel experts, the award also reflects the recommendations of guests who have stayed with us. This is the best affirmation of all as it demonstrates how a well-trained team of dedicated employees can make an impact that no amount of advertising can buy,” noted Sir Royston. The 2013 Best Hotels rankings were calculated based on the aggregate opinion of travel experts and guests expressed through awards, recommendations and ratings. To create this year’s rankings, U.S. News also factored in the prominence of industry awards a hotel receives along with its reputation among travel experts and guests. The U.S. News rankings of the 2013 Best Hotels can be found online via: http://travel.usnews.com/Hotels. Spice Island Beach Resort is a member of the esteemed Small Luxury Hotels of the World (SLH) collection and the first and only resort in Grenada to be featured in the exclusive Virtuoso network’s Hotels & Resorts Programme and Signature Hotels & Resorts Collection. For more information, contact Spice Island Beach Resort toll-free at 1-800-501-8603, tel: 473-444-4258, fax: 473-444-4807, e-mail: reservations@spicebeachresort.com, or visit http://www.SpiceIslandBeachResort.com. The timelessly elegant Spice Island Beach Resort (http://www.SpiceIslandBeachResort.com) in Grenada was a hive of activity on Monday, June 6, as it welcomed Her Royal Highness, The Princess Royal, Princess Anne, who presented Gold Awards to young achievers of the Duke of Edinburgh’s Awards program at the resort, where she also spent the night as a guest. 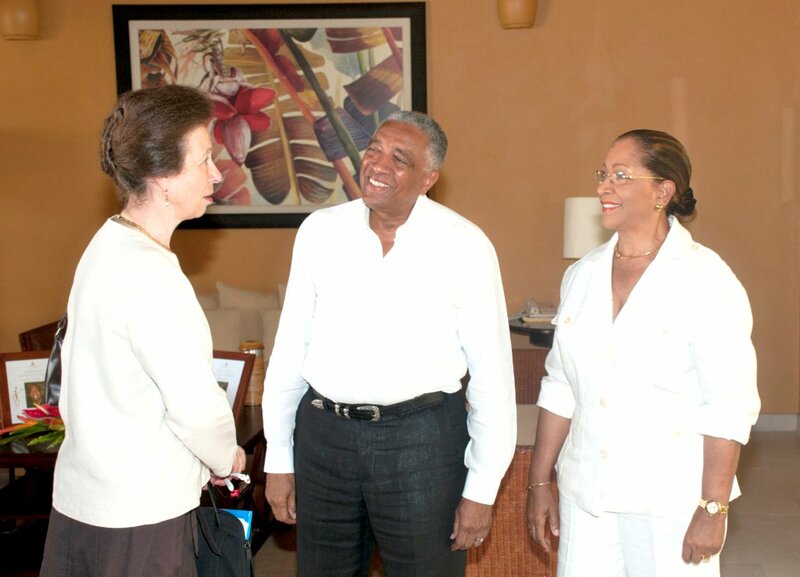 The resort’s Chairman & Managing Director Sir Royston Hopkin and Lady Hopkin were on hand to greet The Princess Royal (pictured right), who is also President of the Caribbean-Canada Emerging Leaders’ Dialogue (CCELD) – part of the Duke of Edinburgh’s Commonwealth Study Conference. Following the awards reception, The Princess Royal met with participants of the CCELD and joined them for a dinner hosted by Sir Royston and Lady Hopkin. 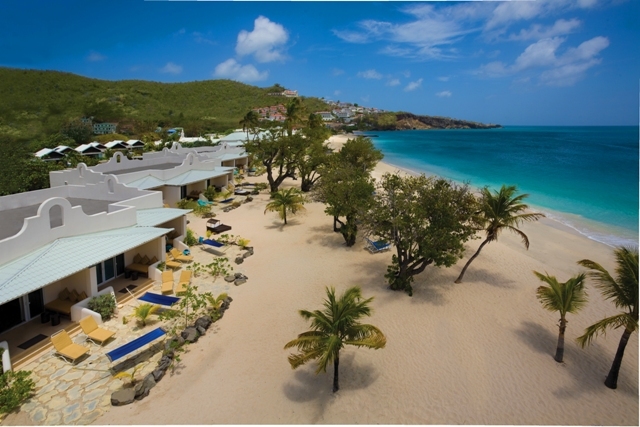 Spice Island Beach Resort is a proud member of the esteemed Small Luxury Hotels of the World (SLH) collection and the first and only resort in Grenada to be featured in the exclusive Virtuoso network’s Hotels & Resorts Program. The resort is also currently celebrating its newly acquired status at the first Grenada property in the Signature Hotels & Resorts Collection. For more information, contact Spice Island Beach Resort at tel: 473-444-4258, fax: 473-444-4807, e-mail: reservations@spicebeachresort.com, or visit http://www.SpiceIslandBeachResort.com.